Henry Stram as Marcel Proust in Sarah Rothenberg's A Proust Sonata. Photo: Ben Doyle. 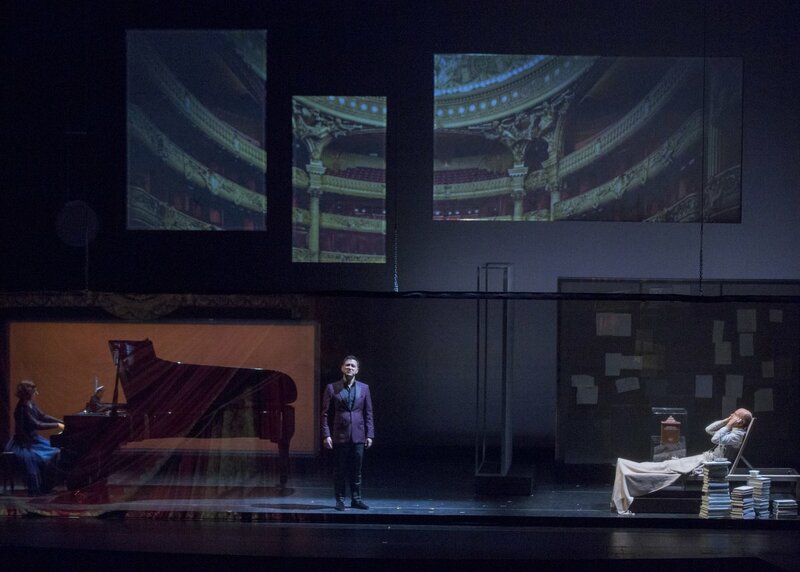 Sarah Rothenberg, Nicholas Phan and Henry Stram in Sarah Rothenberg's A Proust Sonata. Photo: Ben Doyle. Enter the creative world of Marcel Proust’s literary masterpiece and the music, paintings and people that inspired it. Sarah Rothenberg’s A Proust Sonata is inspired by Marcel Proust’s early 20th century masterpiece, In Search of Lost Time, and the author’s final reclusive years when he withdrew from French society to complete his seven volume magnum opus. Rothenberg interweaves text, music and image, evoking the fashionable world of belle epoque salons, Proust’s brilliant insights on art and music, and the connection between memory and the passage of time captured so eloquently in Proust’s great work . 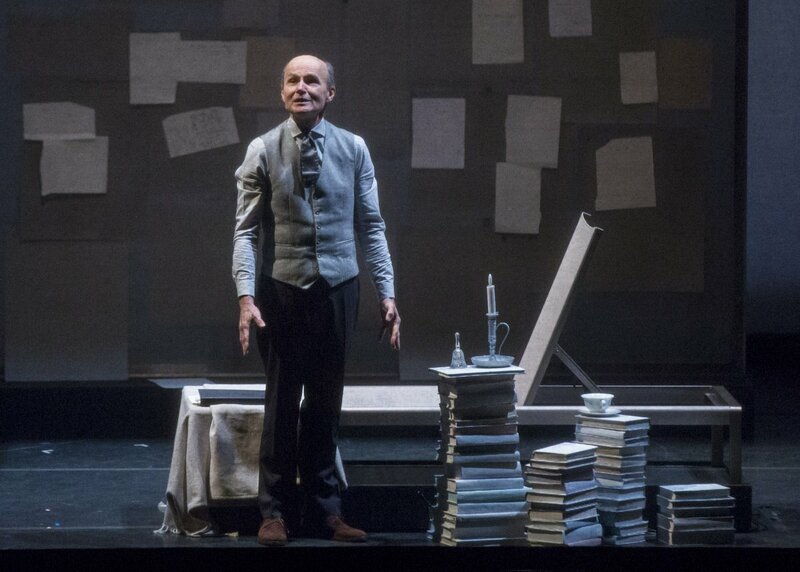 Celebrated Obie-Award winning actor Henry Stram, as the Narrator, brings Proust’s prose to life on stage. 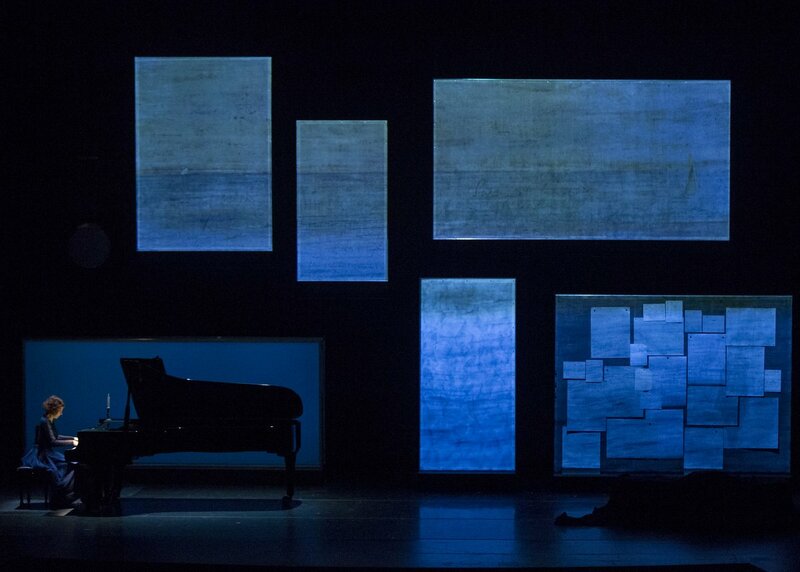 Solo piano works, French art song, and Fauré’s sonata for violin and piano are performed within seven tableaux based on sections of the great novel. The abstract set, designed by Marina Draghici, creates multiple surfaces for projections created from paintings, photography and Proust’s manuscripts in this multimedia, interdisciplinary performance. A Proust Sonata merges art forms in order to illuminate a central theme of Proust’s novel – how art can triumph over time. Sarah Rothenberg's A Proust Sonata: Performance Excerpt II from Da Camera of Houston on Vimeo.